We all know that God spelled backwards is Dog, but it is not commonly pointed out that Ergo spelled backwards is Ogre. This insight can lead us to faff about with Descartes’ famous dictum cogito ergo sum so that, instead of stating I think therefore I am, we say instead I think I am an ogre. It could be argued that this is actually a more profound statement than Descartes’ original. It could be, and it has. In a new book, the paperbackist Pebblehead takes cogito ogre sum as his starting point, and weaves a tale staggering in its implications. Bashed out in just two weeks of frantic typing, Pebblehead’s potboiler of profundity tells the story of a man who thinks he is an ogre. It poses questions which delve into the core of the human soul. If I think I am an ogre, am I an ogre? If I think I am an ogre but I am not an ogre, what, then, am I? Why would I think I am an ogre in the first place? Am I hairy and brutish and savage? Do I grunt rather than speak articulate words? If so, how do I manage to narrate this potboiler of profundity in such punchy prose, daddy-o? Answer me that, or I’ll tear your head off with my bare hands, or rather paws, yes, great hairy paws, suitable for an ogre. And when I’ve torn your head off I’ll carry it back to my lair, a dark dank cave, full of bats, where I lurk, grunting and slobbering, ogreishly. With your head torn off and tossed on to the pile of other torn-off human heads in the corner of my cave, you won’t be able to continue reading my fat paperback with a garish cover sold in bulk at airport bookstalls and the like, will you? You won’t be able to read, and you won’t be able to think. And if you can’t read and you can’t think, can you still call yourself civilised, or are you, too, now merely an ogre, albeit one without a head? Ultimately, are we not, all of us, wandering the world like headless ogres, searching for our torn-off heads, tossed onto piles of other torn-off heads in the corners of dark dank caves? Is one of those caves Plato’s cave? Was Plato, too, an ogre? 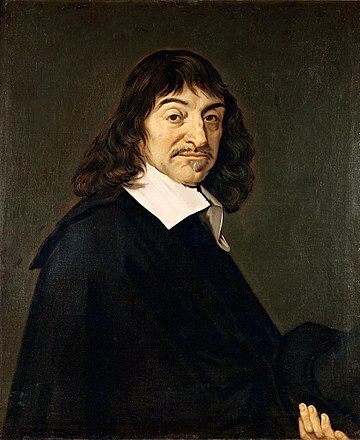 And if Plato was an ogre, what of René Descartes? And what of you? The latest news from Pebblehead is that his own brain has been so bedizened by the writing of his potboiler of profundity that he is currently languishing, exhausted, on the balcony of a sanatorium even higher in the Swiss Alps. His book is available at all good airport bookstalls. We wish him well. This entry was posted in Prose, Shaka Pebblehead by Frank Key. Bookmark the permalink.